Greetings once again, Walking Taco readers! I’ve been MIA for a bit, but as a newlywed, I’m sure you’ll forgive me for spending less time at my computer, and more time with my wife. Speaking of spending time with my wife, we made it out to the theatre for the first time in a while to see the new film Tron Legacy. Now, once upon a time, I saw the original Tron, and I remember at the time thinking it was cool, and edgy, and all the effects were so ahead of their time. (which they were) But nowadays, Tron holds on to the hearts of the masses through the sheer willpower of nostalgia. It’s similar to how fans approached the Star Wars prequels. They loved the originals, so why wouldn’t it be 10 times better with new visual effects, right? Quick summary – Sam Flynn, son of Kevin Flynn, a game designer from the 80s, is inactive CEO of Encom, a Microsoft-esque company his father started before his sudden disappearance. After 20 years of being out of his life, a friend of his father’s receives a page. Sam goes to the arcade his father used to run, discovers a hidden room and running workstation, and inadvertently inserts himself into “the Grid”, a digital world his father created. Once here he meets his father, discovers a plot by a program his father created called “CLU” and strikes out with his father to escape the Grid and stop CLU from carrying out his evil plan. To quote Will Smith "I have got to get me one of these!" 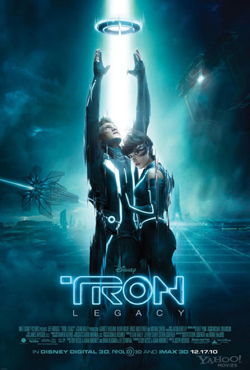 Tron Legacy was, to be frank, a visual effects feast. Similar to how thrilled I was in Superman Returns to see Superman moving in a freeform fashion instead of laying on a bluescreen table and leaning left and right, it was thrilling to see light cycles and disc battles using today’s cutting-edge CGI technology. These scenes were the first to be presented to the fans over a year ago, and really, they’re probably the coolest elements to the film. Alas, they are also the shortest scenes of the film. I would say in the over 2-hour runtime, you see maybe 5 minutes of disc battles, and 8 minutes of light cycles. Oh, there are plenty of other CGI effects, including the entire world of the Grid, but those two sequences are what fans of the original came to see, and they deliver in a way only nostalgia-fueled reminiscing can fully enjoy. There is, of course, one other major CGI element, and that is the young version of Jeff Bridges. 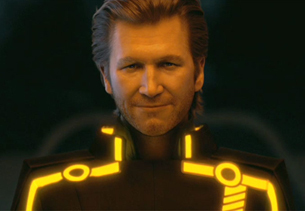 The makers of Tron Legacy decided that to make a 20-year younger Jeff Bridges, they’d use the same motion capture technology used to make Patrick Stewart and Ian McKellen look younger for X3. Problem is, it looked creepy then, and it looked creepy now. Long ago, people at Pixar realized that trying to make CG people look 100% real was very off-putting to audiences. There are so many imperfections to human expression that to attempt to recreate it in a computer almost always resulted in an indescribably unnatural effect. So, Pixar steered clear and went with the more cartoony humans we know and love. I do have to say that I’m okay with this concept when the technology is used to create CLU, the avatar version of Flynn, because he exists solely in a computer world, and could therefore look artificial. However, when they try to pass it off for the few real world scenes, it’s eerie, and discomforting to watch. I appreciate that they tried, and didn’t just use a lot of back shots and cleverly concealed faces, but maybe casting a younger actor to play Flynn in those few flashback scenes would have been a better bet. They also used this technique for Bruce Boxleitner to create the younger version of Tron, who makes a few appearances via flashback, but it was far less noticeable in these scenes. Outside of the effects, this movie is fairly lackluster. The acting is passable, but never really reaches any sort of noteworthy performance. Perhaps the closest would be Olivia Wilde as Quorra, who has to have an almost child-like, artificiality to her, and she does this well. Martin Sheen takes a break from his overly dramatic roles to do a mean David Bowie impression as Castor, Beau Garrett gets her first notable role playing some spandex-clad eye candy as Gem. The plot of the film is clearly aimed at fans of the original, relying on a lot of “wink wink” allusions to the first film in order to garner full enjoyment. It was predictable at times, and I found I had little emotional investment in the film, primarily because the characters lacked any emotional investment. After not seeing his father for the 20 most developmental years of his life, Sam and Kevin see each other and it’s merely a “haven’t seen you in a while *tear*… so, yeah, how about we get out of here?” moment. 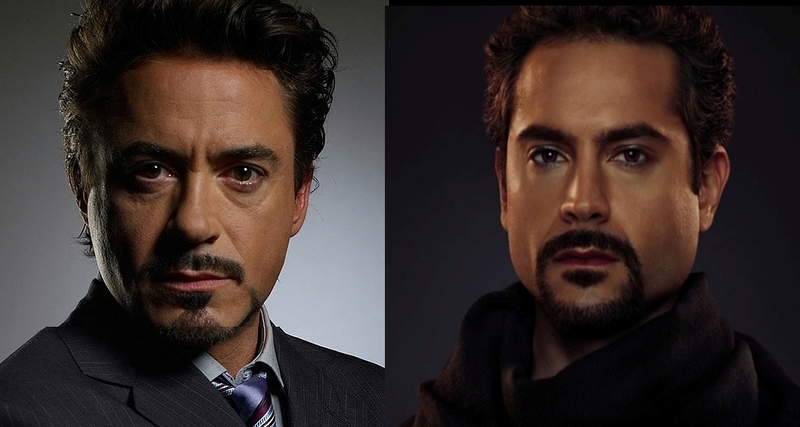 They circle the father-son relationship concept but never really delve too deeply into it. Kevin Flynn has the personality of a burned out druggie, ending most sentences with the colloquialism “man” to make sure the audience never forgets that he last left Earth in the 80s and was clearly a product of the 60s and 70s. Most of the other characters were artificial beings, so their lack of humanity is somewhat excusable. 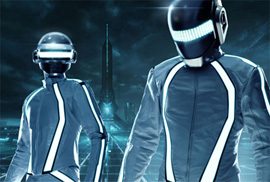 You'd have to be "daft" to not enjoy this soundtrack! The last note I have to make is in regards to the soundtrack, which is expertly executed by Daft Punk. Interestingly, this is the element of the film getting some of the most buzz. I can’t say that I’d want to listen to this Soundtrack much outside of the film, but as a part of the whole, it’s perfect. Plus their outfits are pretty much made to cameo in this film – which they do – so, bonus there. Sort of a quick side note, we saw the film in 3D due to lack of other time options, and the film opened with a disclaimer saying many of the scenes are presented in 2D because that’s how they were intended. I applaud Disney for the bold choice, however some scenes, such as the light cycles and many of the scenes in the Grid offered some very cool 3D effects, but the shift between 2D and 3D scenes was occasionally jarring, and not always justified. I could buy using 2D for the real world, and 3D for the Grid, sort of ala Wizard of Oz and its use of color, but not all of the Grid was in 3D, and sometimes it was just shots of a character standing there that got the upconvert, which made for a very disorienting moment. I leave it to you to decide if 3D is worth the extra money for you or not. 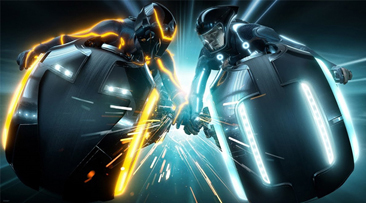 To sum up, Tron Legacy is an exciting return visit to the world of Tron, with a much needed update to the visual effects. The story is relatively flat, but serves to move us from one visual sequence to the next, and the acting is what it is for the confines of the story. For those that haven’t seen the original Tron, there’s a convenient bit of exposition at the beginning to catch you up, so you won’t be lost. (My wife hadn’t seen the original and still enjoyed the film.) I would say I enjoyed seeing the film, and would recommend seeing it in the theatres for the spectacle, just don’t expect Oscar-worthy film-making (outside of the CGI effects). I sat next to my fiancee in packed a theater full of young teenage girls just oooing and ahhhing over the opening title sequence of the highly-anticipated sequel to last year’s major blockbuster romance “Twilight.” Soon enough, however, the excitement seemed to subside as “New Moon” descended into a monotonous bore of a film where so little happens for 130 straight minutes. Even my fiancee and her best friend (huge fans of the books) felt shorthanded by the stupidity onscreen. 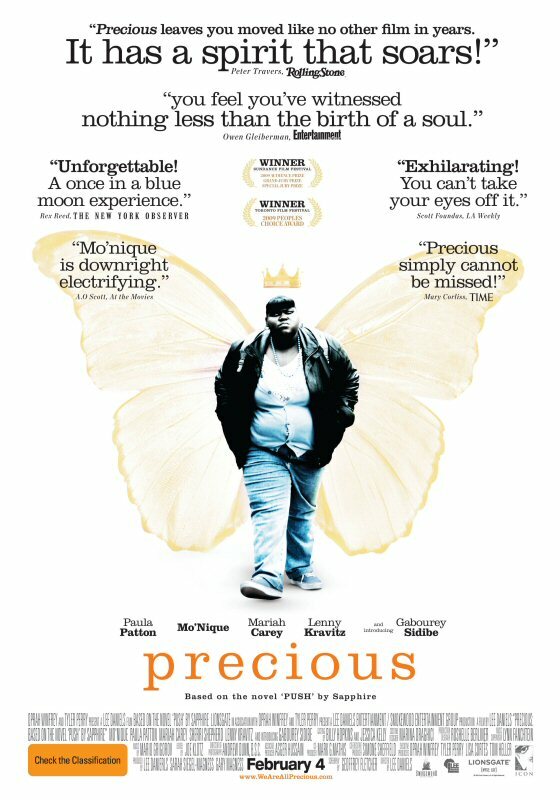 To the series’ credit, I enjoyed the first “Twilight” on its own terms. The film actually had a serviceable romance and two solid lead actors out of Kirsten Stewart and Robert Pattinson as two young lovers with their own mortality (or lack thereof) doing battle. The obligatory physical threat of competing vampires showed up far too late in the game, but the chemistry of the two stars and interest of the story carried the film. Outside of choppy hit-or-miss visual effects sequences, I can see the appeal. Director Catherine Hardwicke deserves far more credit than she earned as the movie took off into phenomenon-status, and the studio began to search for a more spectacle-driven director. 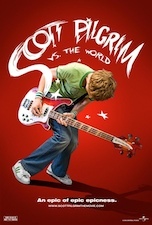 Summit Entertainment found Chris Weitz, fresh off his stateside box-office behemoth of a flop–“The Golden Compass.” That film turned out to be a worldwide success coming close to $400 million and earning an Oscar win for its special effects. Let’s forget it was an awful movie. “New Moon” is about as much of a disaster, if not more. The story picks up right after the last film. 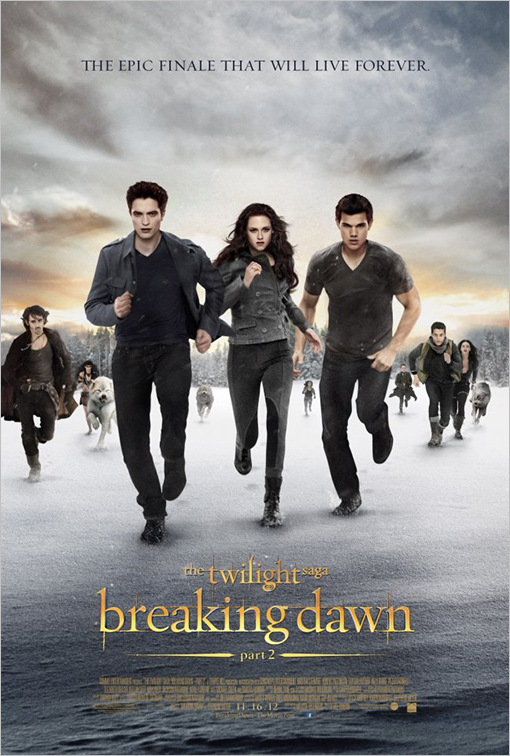 The Cullen vampire family throws Bella (Kirsten Stewart) a birthday party, and through a course of events, the young lady cuts her finger which sets off Edward’s (Pattinson) blood-thirsty brother. Edward enters into a brief tussle to protect Bella, and winds up realizing that she, as a human in his world, will find nothing but danger. He decides to leave her, giving her a chance at a normal life, abandoning her in a forest which sends her into a state of depression. 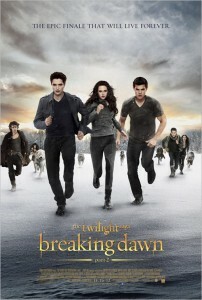 Months go by before Bella develops a friendship with her childhood pal Jacob (Taylor Lautner). He has secrets of his own, and wouldn’t you know it (for the only two readers who don’t know), he turns out to be a werewolf. Now who is Bella to choose? And does anyone really care when the movie moves at a turtle’s pace, throwing up incalculable volumes of awful dialogue, and implausible teeny soap opera nonsense? In theory I could be chastised for falling into the first film’s trap of teeny-bopper romance fodder and then turning around to complain about this chapter, but something struck me with the two lead actors in the last outing, and I liked the film solely for their work which rose above anything I would’ve expected for such fluff. I have to conclude that Catherine Hardwicke knew how to put the focus on the two actors, and inject some passion into the film’s proceedings. That so-called ‘passion’ is completely absent here. ‘New Moon’ is a 130-minute bore of massive proportions. So little happens, and the dialogue and much of the plot developments are excruciatingly painful. Hardwicke made the sap-crap watchable. Chris Weitz simply hits the gag-reflex. Perhaps, the void comes from the fact that this story isn’t much about Pattinson and Stewart’s relationship. Once he leaves early on in the film, Stewart is left to wallow and moap, while developing a new connection with Taylor Lautner’s character. Lauter is a disappointment. Whether his lacking talent as an actor has more to do with it than his terrible dialogue remains to be seen in further chapters. But much of the film focuses on an awkward relationship between the Bella and Jacob characters that never fully works because she obviously doesn’t want to be with him. She longs for Edward, and sets herself up for death-defying situations to catch a glimmer of his watchful apparition that appears when she finds her way into danger. Needless to say, the attempt at establishing the Bella/Jacob relationship doesn’t work and feels like a waste of time for the audience when the real chemistry exists only between Pattinson and Stewart. Eventually, Pattinson does return in the film’s ‘climax,’ a howler of sequence as he attempts to end his life in front of the head governing vampires over odd plot developments. Too little, too late. The sequel suffers without the Pattinson/Stewart romance. No amount of spectacle that Weitz tries to amplify this time around can save the movie’s lack of a pulse. With the lead characters seperated, Weitz could have possibly saved the project by delving further into vampire/werewolf mythology, and tying in some more mature storytelling and exploration of the major assortment of characters he’s been given (something Hardwicke missed as well in “Twilight”)–but why do something interesting when you can make a bare-bones cadaver of a movie? “New Moon” undoubtedly blew up at the box-office, grossing $140 million in its first three days, and $72 million of that total on its first day alone. Sitting currently at $270 million, it has been dropping pretty hard since its release, but it’ll still wind up in the $300 million range, making it a walloping success for the studio backing it (and far bigger than its predecessor last year with $192 million total). Too bad it’s a stale installment. Hopefully Director David Slade of the bloodbath vampire thriller “30 Days of Night” can develop a much more mature and exciting film out of “Eclipse” due in theaters June 30th of next year.